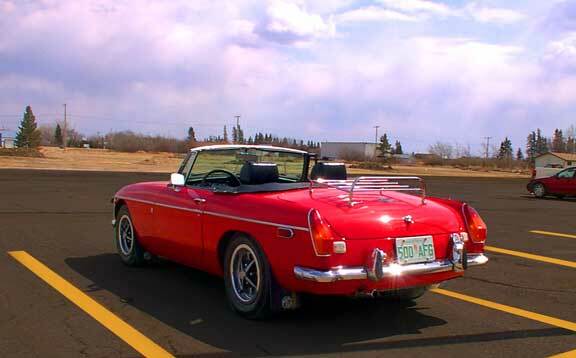 Without a doubt the best sign of spring around was this MGB spotted on the Tisdale Mall parking lot Saturday afternoon. 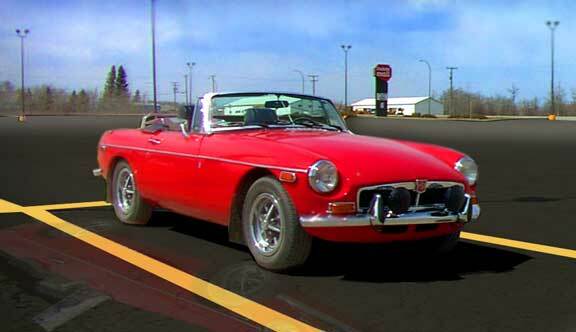 The British had both the MG and the Triumph which were exported to the North American market from the early fifties onward. Often a little finicky to maintain with multiple carberators and hydraulic clutches these little true sports cars were excellent handling vehicles and a delight with their emphasis on fun and simplicity. It always puzzled me that North American auto makers were never able to compete with these imports as the early Thunderbird was the only similar car of this type and even it was much more expensive and lacked the real roadability of the MG. The Corvette of course was just so American in its emphasis on performance and expense that it never really challenged the European sports car.